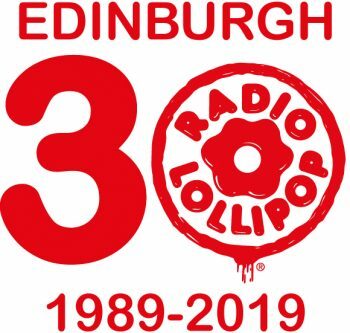 This year marks Radio Lollipop’s 30th anniversary in Edinburgh! To celebrate this momentous occasion we are holding numerous fundraising events throughout the year, including our 12th Annual Ball. Introducing the Radio Lollipop Funraisers. 2-5pm at the Grosvenor Hotel. At our Posh Clothes Swap, Ladies (or Gents) bring three never worn/tags still on, or barely worn clothes, shoes and accessories and swap what they don't wear for something they will wear. Style Me Flawless will be in attendance to give style tips and advice on the right shapes and colours for you. We are returning to Cramond to run/walk/skip/cycle 5k to raise awareness of Radio Lollipop in Edinburgh. Join us in celebrating our actual 30th birthday!!! We return for our 12th ball, and with us celebrating our 30th year in Edinburgh and Radio Lollipop’s 40th year as a charity, it should be a night to remember. Get your glad rags on and join us for all the birthday celebrations. More information to follow on ticket availability and on-sale date. Hours of bewitching fun, spooks, ghouls and party games.All are welcome to come and dance the day away with us to raise awareness and funds for Radio Lollipop. More information to follow on ticket availability and on-sale date.